Notes: To offload recordings, insert this drive into the AJA Pak Dock (rentable separately) SSD reader. This SSD is designed to be used with the AJA CION 4K/UHD and 2K/HD Production Camera. It is also compatible with the AJA Ki Pro Quad recorder. 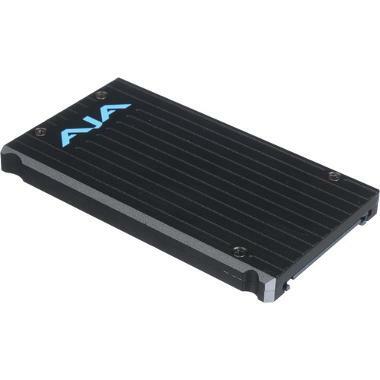 The AJA Pak256 256GB SSD Memory is a high-capacity Solid State Drive encased in a rugged housing. It will record 4K, 2K, and HD video.